Climate change is any long-term significant change in the average weather that a given region experiences. Average weather may include temperature, precipitation and wind patterns. It involves changes in the variability or average state of the atmosphere over durations ranging from decades to millions of years. 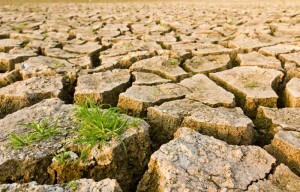 Climate change has become one of the greatest social, economic and environmental challenges of our time and the term more recently pertains to changes in modern climate, also well known as the Enhanced Greenhouse Effect & Global Warming (which refers to the increase in the Earth’s average temperature since the mid 20th century and the projected continuation of this increase). In these modern times the human activity of burning fossil fuels (coal, oil, natural gas etc) containing carbon that has been stored for millions of years, combined with accelerated land clearance has led to unprecedented levels of greenhouse gas emissions. As a result of this activity, adverse climatic changes have been observed. Such changes have manifested adverse changes in rainfall, water availability, climatic temperatures, bushfire frequency, health, heritage and biodiversity for current and future generations. 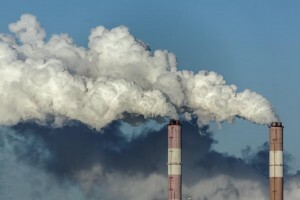 People have become increasingly concerned about the possible effects of global warming and although the annual rate of emissions has been decreasing, the CO2 concentration in the atmosphere is still increasing. In 1992, most developed countries in the world agreed to the United National Framework Convention on Climate Change (UNFCCC), which is designed to impose limits on greenhouse gas emissions and thus minimize the adverse effects of climate change. But experience has shown that reducing the use of fossil fuels is a slow process. In Australia, which relies heavily on coal for its power supplies, less than 10% of our energy comes from renewable and non-greenhouse sources. The government plans to increase this, but only marginally in the overall scheme of things. With this said Scientists predict that we need to decrease global Carbon Dioxide emissions by at least 60% of current levels by 2050 to stabilise global Carbon Dioxide and prevent further significant climate change. More recently, specialists have indicated that this minimum lessening of 60% should be elevated to as high as 90%. To achieve these fundamental decreases additional means of reduction are therefore needed. Energy efficiency is the most important action to prevent climate change. Power costs in Australia are estimated to double in the next 5-7 years. Critics often claim that it is too hard and expensive to reduce carbon emissions. Energy efficiency reduces emissions and increases profits. Using modern technology can reduce your energy usage and carbon footprint dramatically. The main culprits of wasting energy are heating, air conditioning and lighting. If you have equipment older than 5 years old, have a look at its power usage compared to modern equipment. Often the reduced operating costs will repay the capital expenditure easily. Utilising innovative technology such as hydronic heating, solar air conditioning, LED lighting etc can substantially assist in the quest for energy and carbon foot print reductions.